I use the "load picks from turbotourney.com"
I have lost several players picks for the Bowl Pool that I do remember receiving. In the past I remember that you can download all the picks that have already been marked received. But can remember how to do that?????? We have players that selected the play-in teams. Those selections are showing up blank in the player summary report. They do show up when printing player picks just not in the summary report. 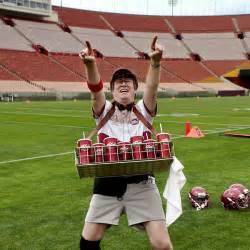 "get your ice cold Dr. Pepper here!" File> page orientation > then changed player picks to Portrait. Seemed the problem was with player picks ????? But its working now. Trying to print report package (including player picks) to web. Keep getting error that header is too big ... do I want TT to adjust, I hit yes. Then I get this error. It appears it is related to player picks. I do not have a printer connected to this computer nor am I try to print to paper. ???? The player listing report also lets you do that. We also put the custom field (PAID) right next to the players name in reports. That generally shames them into paying. Topic: Printing player picks .. Were there any changes to the player picks reports? After entering picks and printing from the confirmation page. It prints small and does not automaticly print to landscape. Could be my printer??? Ha, figured there was a way. I don't know on the emails just that every year I get one or two people with 3 or 4 entries that later tell me they didn't get the email (right away), so they entered again. By no means the programs fault, its operator or their computer error. thx Phil, that's the problem people are having. They check the email me a copy and it doesn't come right away. Not a big deal just wondered if you/I could add the text to the confirmation page.